The Razors Edge sold to date over 15.000.000 copies and it became the fourt most sold album of the band after after “Dirty Deeds Done Dirt Cheap”, “Highway to Hell” and “Back in Black”. The entire album has been written by the two Toung brothers, while Brian Johnson was apparently very busy with his divorce. 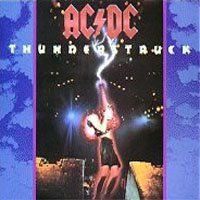 Angus and Malcom Young wrote it after a bad experience of Angus that was hit by a thunder while he was travelling on a plane. Can you believe it? Angus is said to have nine lifes as the cats…. But, maybe, this is only legend….. some other sources are saying that, as the name AC/DC comes from electrical power, “thunder” is just pure natural power….